Phase One of the District Wharf is a newly-constructed nearly half-mile long neighborhood along Washington’s Southwest Waterfront and completed in 2018. LAB has been comprehensively involved in the design and documentation of The Wharf Promenade as the landscape architect of record. 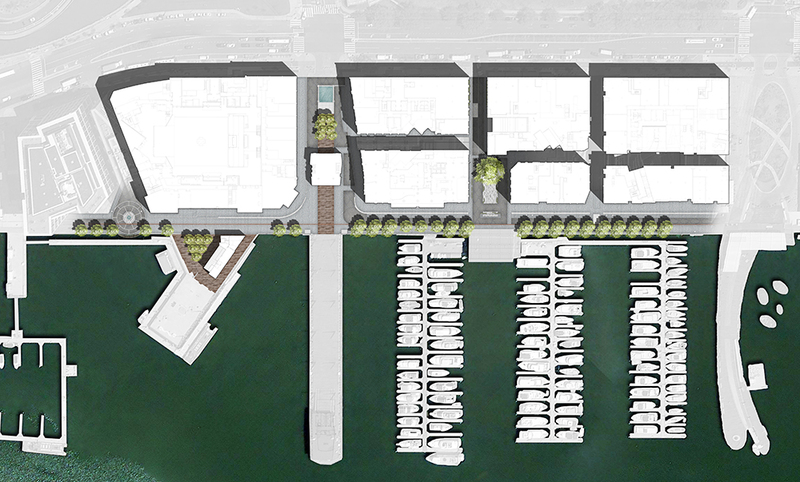 The landscape scope for this portion of the development comprises most of the signature spaces and components of The Wharf: the Riverfront Esplanade, a piazza at the new Capital Yacht Club, alleys and mews, and several piers. 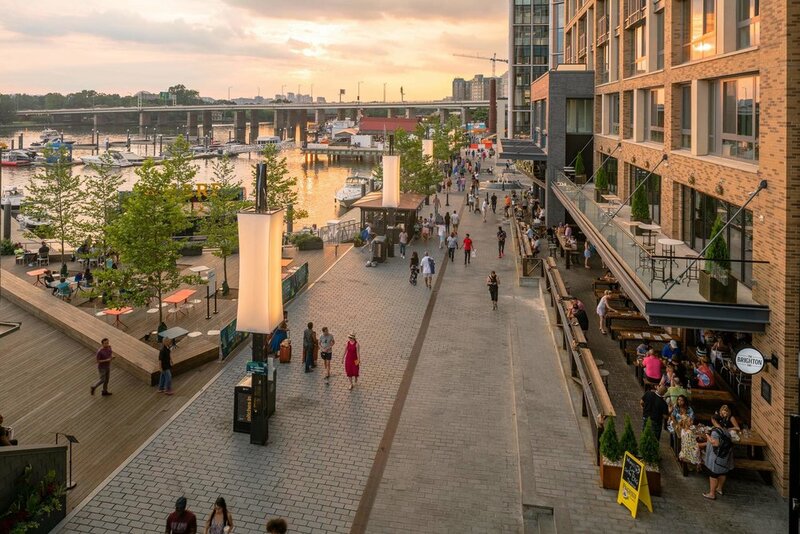 Overlooking the historic Potomac River, the Wharf is “where DC meets its water”, an apt description of the ambitious and highly anticipated $2 billion redevelopment of the Southwest Waterfront; it is one of the largest of its type in the nation. The project includes mixed-use buildings with retail, office space, residential parcels, entertainment & cultural amenities, and a series of public spaces that forge a new relationship between the city and the river. The project makes extensive use of the concept of “woonerf”: living streets where vehicular and pedestrian traffic share the same space, resulting in a safe, efficient, and highly dynamic urban condition that contributes to the Wharf District’s unique sense of place. Paving throughout the project was a critical component of the landscape design. As such the project includes a rich array of paving materials, patterns, and configurations that engender a sense of continuity while also highlighting the special character of specific places. Among the more complex assemblies associated with the project is the Riverfront Esplanade itself, a highly-engineered seawall and promenade assembly that incorporates a large cistern for the retention and treatment of stormwater collected from impermeable surfaces within the development. The project, located in a tidal section of the Potomac River that experiences significant seasonal flooding, required extensive coordination with multiple engineering teams, architects, related consultants, and a number of regulatory agencies.